The Pennsylvania System of School Assessment (PSSA) testing window is quickly approaching. All students will be tested on Monday, April 15th, Tuesday, April 16th, and Wednesday, April 17th in English Language Arts (ELA). Thursday, April 18th and the week of April 22nd will be used as make-up days for students who may have been absent during one or more of the first three days of testing. All students will be tested on Monday, April 29th and Tuesday, April 30th in Mathematics. Wednesday, May 1st, Thursday, May 2nd and Friday, May 3rd will be used as make-up days for students who may have been absent during one or more of the first two days of testing. Eighth-grade students will be tested on Wednesday, May 1st and Thursday, May 2nd in Science. The remainder of the week will be used as make-up days for eighth-grade students who may have been absent during one or more of the first two days of testing. All students will be using the paper and pencil version of the test. Testing will begin promptly at 8:00 am and conclude by 10:30 am each morning. Homeschooled and NOLA students are invited to take the PSSAs on our campus. If you wish to have your child enrolled in the PSSA testing on our campus, call the office of the Middle School Counselors by Friday, March 29th at (570) 226-4557 ext. 3055. Please review these three state-issued documents (Cell-Phone Policy and FAQs, Calculator Policy, and the Code of Conduct) at your leisure. If, after reviewing the documents, you have additional questions, please call the Middle School at the telephone number indicated above. The presentation slides from the 8th Grade to 9th Grade scheduling meeting held on February 6th are available here, and also on the High School Scheduling page. This year we welcome several students to our school with allergies to peanuts and/or other nuts. We invite your help and cooperation to help them stay safe. Reactions range from mild to life threatening. Any exposure to peanuts or nuts may cause an allergic reaction that requires emergency medical treatment. To reduce the chance of this occurring, we are asking that you do not send any peanut- or nut-containing products to school with your child that will be eaten in the classroom. Children may eat what they like in the cafeteria, where a table is available for students with food allergies. We look forward to working together with you to have a wonderful year. If you have any questions, please call Mary Ellen Olsheski, School Nurse, at (570) 226‑4557 ext. 3060. The WAMS Music Department is building a new website to provide information on all things music in the Middle School. It's a work-in-progress, but check it out at http://musicwams.weebly.com! 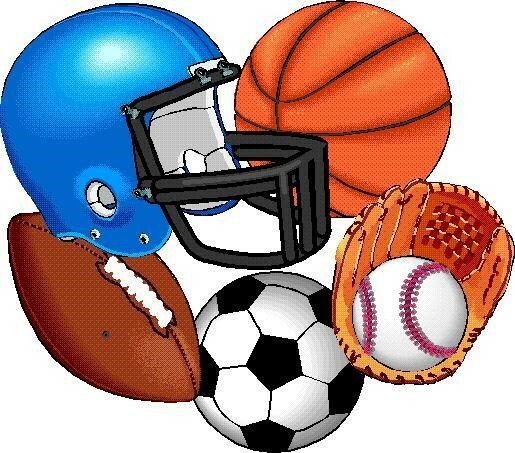 Do you have sports equipment you've outgrown? Would you like to pick up some 'slightly used' equipment at low prices? If you answered 'Yes' to either of those questions, then check out the information on the Wallenpaupack Youth Sports Equipment Exchange. 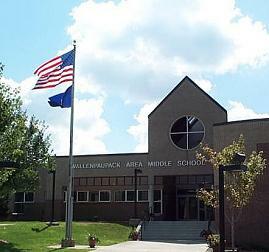 The Wallenpaupack Area School District has a dress code for our students. Students and parents should become familiar with the guidelines before shopping for school clothes. The guidelines can be found here. Important: Please be aware that the official opening of school is 7:50 am. Also, please be aware that children arriving after 8:00 am are marked tardy. If you are going to pick up a student from school at dismissal time, you must send a note with your child. If someone else is picking up your child, please state so in note. If we do not have a note, the student will be placed on their bus home. Hot breakfasts are served every morning in the MS Cafeteria from 7:30 am to 8:10 am. The price is $1.95. Students who receive free/reduced lunch also receive free/reduced breakfast ($.30).